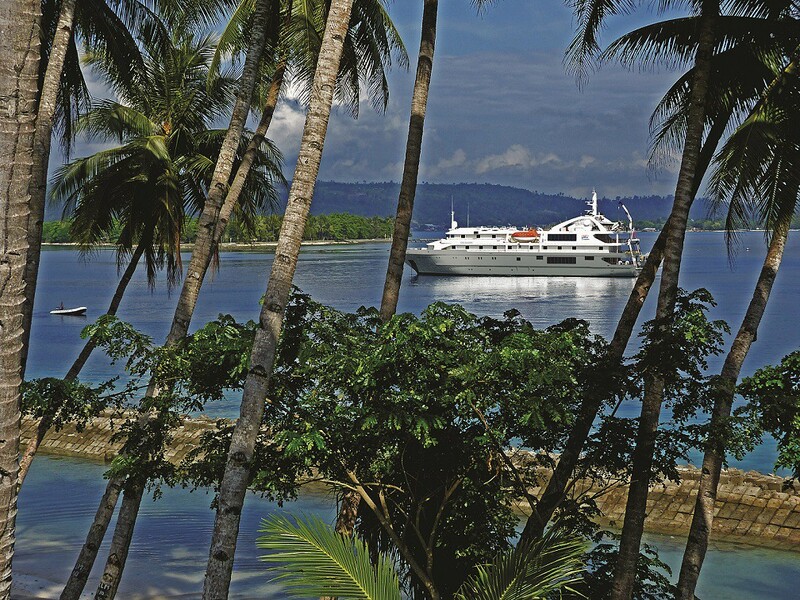 Today Coral Expeditions sets sail from Singapore on their pioneering voyage of discovery aboard the newly refurbished Coral Discoverer and the first of the new South East Asian itineraries, A passage to lost Myanmar, which concludes in Yangon. Now in its 33rd year of operations, the inaugural Asia season incorporates a series of five adventurous expeditions which explore areas only accessible by small ship running through to February 2017. “Our inaugural Asia season is one of the most exciting series of itineraries for Coral Expeditions. These are expedition-style cruises that bring our signature sense of adventure, immersive shore programs and Australian hospitality to our boutique ships,’ said Group General Manager, Mark Fifield. Each itinerary is reflective of the company’s expedition style and immersive cultural and culinary experiences, charting the diverse coastlines of Myanmar, Malaysia, Thailand, Vietnam and Indonesia. Highlights in the itineraries include sailing up the Irrawaddy River to berth in the hustle and bustle of the old working river port at Yangon (12 nights Singapore to Yangon or v.v. ), exploring the pristine waters of the remote Mergui Archipelago, kayaking through the spectacular limestone karsts of Tarutao National Marine Park and visiting the still-active Anak Krakatoa volcano in Indonesia where guests can hike up the hillside ringed by the caldera (17 nights Singapore to Darwin, or 8 nights Kalimantan to Singapore). Guests will also get an insight into a piece of war history during a local guided tour of the Burma WWII Railway Memorial outside the town of Mawlamyine, and uncover remnants of the Vietnam War at Vinh Moc Tunnels and the Demilitarization Zone. Guests will travel on the newly refurbished Coral Discoverer, carrying a maximum of 72 guests, which has concluded its dry dock in Singapore, receiving a multi-million-dollar facelift, incorporating the addition of six Bridge Deck Balcony Staterooms, the first on any Coral Expeditions vessel. The remaining 30 staterooms have received full upgrades to bathroom fixtures, soft furnishings and artwork. The intimate expedition character of the ship, that was created specifically for this type of sailing in 2005, remains; her shallow draft and manoeuvrability allow her to go where other large vessels cannot. She retains her Xplorer tender, allowing all 72 guests the ability to disembark simultaneously, for excursions to beaches and rivers, as well as her active stabilisers. The 20sqm balcony rooms now feature double or twin beds, ensuite, a couch, writing desk, and ample wardrobe storage. The rooms provide coveted indoor-outdoor living spaces with the private balcony opening out from French doors. Most staterooms can be configured to either junior king or twin bedding and all feature compact private ensuite, outside view, iPod dock, ample storage and Australian toiletries. All Coral Expeditions voyages are inclusive of all meals on board with selected beer and showcase wines during lunch and dinner service, off-shore excursions, ground transport and use of onboard facilities. The refurbishment has also extended to common areas including the dining room, deck lounge and the sun deck, which will now serve as the social hub of onboard community living. The Sun Deck has also been converted into an undercover deck area complete with a circular bar, alfresco dining area and contemporary outdoor furniture. To book call 1800 079 545 or visit www.coralexpeditions.com.